Keep in touch. Get our free e-newsletter, the Gel-Git Gazette, delivered to your inbox! Our guests are instantly mesmerized by this unique art form and can’t help but stop, watch, participate and buy. Phil and Star are true professionals and bring great knowledge and fun to every event they do. ﻿They are one of our best vendors for LA LIVE Dark Nights”. Sign up for our newsletter for updates and news! Hello! All photos and content are copyright protected. Please do not use our photos without prior written permission. If you wish to republish any of our written content, please rewrite the text in your own unique words and link back to http://www.MayuSilkArt.com or the page from which you have pulled the content. Thank you! 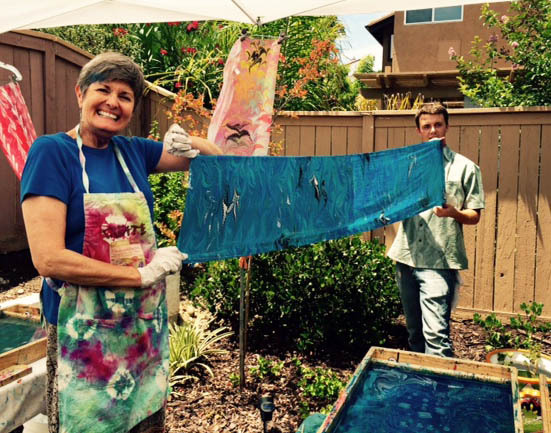 ​​Utilizing modern, eco-friendly and upcycled materials, we bring the beautiful, ancient art of water marbling to the 21st century. Onlookers crowd around to watch "designers" of all ages and abilities make their own one-of-a-kind handmade water-marbled silk scarves. Each artist applies acrylic paint to the special water bath, floating the colors in our custom-built water marbling trays, then uses marbling combs, rakes, or stylus to create the design to their liking. It is a true "WOW" moment when the finished scarf is held up for all to see! And we like to party! Corporate team building and employee appreciation events, trade shows, private parties, image enhancement programs for hospitals and outreach centers, bridal showers, birthdays and anniversaries, mitzvahs, quinceaneras, sororities and women's guild programs, fundraisers and galas - you name it. 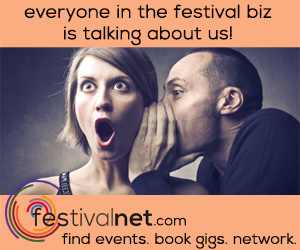 We bring a very professional, polished, interactive, and engaging presence to any event. We also offer custom-ordering of artisan-made marbled silk products, including scarves, headbands, bowties, neckties, throw pillows, placemats and napkins, hand painted origami flowers, and water marbled cotton or other fabrics for quilters and crafters to use in their projects. Please visit our online store Here. We can also work with you to design your own silk ribbon or sashes or veils for bridal parties, mitzvahs, or other special events. At various times throughout the year, luxurious artisan scarves designed by our founder, Star McCain, may be seen on display in the Museum Store at The Huntington Library, Art Collections and Botanical Gardens in San Marino, CA. For booking information, or to place an order, please call 714-379-1990 or follow this link to go to the Mayu Silk Art Contact Page. 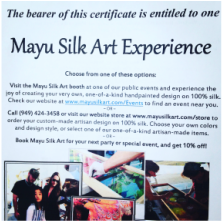 Gift certificates are good toward any Mayu Silk Art product or service in our booth, online or by phone. Please note: some links on this page will take you to external pages of our affiliates. We may receive some compensation for the use of these links. ​Thank you for supporting Mayu Silk Art and our favorite vendors! For more information, please see our Affiliate Disclosure Policy.